In this update report Al Mezan presents seven case studies on the use of Palestinian civilians as human shields by the Israeli Occupation Forces (IOF). These case studies, based on comprehensive field investigations and witness statements, demonstrate that the IOF continues to systematically use Palestinian civilians as human shields, in breach of international humanitarian law (IHL), international human rights law (IHRL) and even Israeli domestic law. Six of these incidents took place during Operation Cast Lead launched against the Gaza Strip between 27 December 2008 and 18 January 2009, and one took place earlier in 2008. In endangering the lives of civilian men, women and children through systematically using them as human shields, the IOF is committing crimes tantamount to war crimes and crimes against humanity according to IHL. Palestinian and Israeli human rights organizations have taken all steps within their power to protect Palestinian civilians from this cruel and lethal practice, winning in 2005 a legal battle to secure a prohibition on the use of civilians as human shields under Israeli law. The Israeli authorities continue to refuse to implement the orders of their own highest judicial body, let alone adhere to their clear obligations as an occupying power under IHL. These practices, and the culture of impunity within the Israeli military system, compel the international community, and especially the High Contracting Parties to the Fourth Geneva Convention, to act. The practice of using human shields is just one of many grave violations perpetrated against Palestinian civilians in the occupied Palestinian territories (oPt). The State of Israel continues to impose a near total blockade on Gaza, carry out expulsions and home demolitions in the West Bank (including East Jerusalem) and kill civilians on a daily basis. 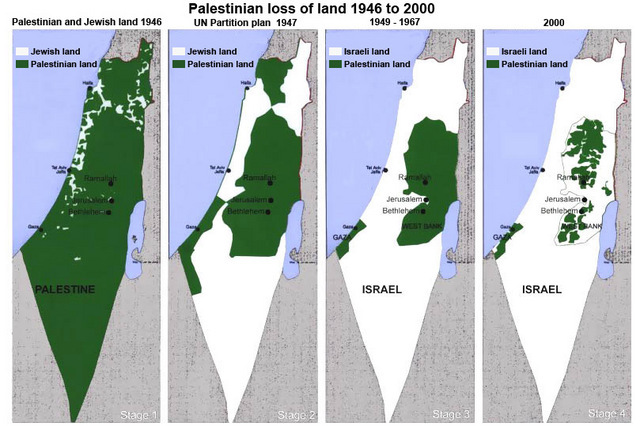 During Operation Cast Lead alone, when Israel launched a wide-scale 22-day military offensive, at least, 1,410 Palestinians were killed (including 324 children and 109 women) and at least 4,004 were injured (including 860 children and 448 women). Thousands of houses were destroyed as a result of targeted air strikes and demolitions carried out by the IOF, as well as hundreds of vital public facilities, including police stations, the main prison in Gaza and civilian ministry buildings. The first section of the report briefly presents relevant legal provisions related to the use of Palestinians as human shields. The second section presents seven case studies which provide yet further evidence of widespread and systematic grave violations of IHL and IHRL. In the first incident a 15-year-old boy was used as a human shield by the IOF and then detained in a hole for four days. The boy now suffers from serious mental health difficulties. In the second incident a 10-year-old boy was forced to carry-out life endangering tasks. When he was unable to complete a task, he was hit by an IOF soldier. In the third incident an elderly man was forced to run in front of IOF soldiers to protect them from potential attacks in an area that was under fire, placing the life of the man in grave danger. In the fourth incident, IOF soldiers ordered a civilian man to go into a house where Palestinian fighters were hiding to retrieve their weapons thereby putting his life in grave danger. The victim now suffers from psychological problems. 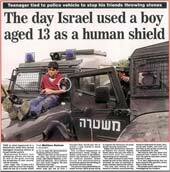 In the fifth incident, the IOF used two brothers as human shields. One brother was shot and bled to death after the IOF fired on a rescue convoy including Red Crescent ambulances and a UN vehicle. The other brother was injured, denied medical care and as a result had two fingers amputated. In the sixth incident, a young man was used as a human shield by the IOF and severely beaten.